Bradley Wiggins won the final time trial in the 2012 Tour de Romandie to secure the overall victory in the Swiss WorldTour stage race on Sunday. Wiggins (Sky) clocked the fastest time on the hilly 16.5-kilometre course, crucially finishing one minute and 23 seconds faster than overnight race leader Luis Leon Sanchez (Rabobank). American Andrew Talansky (Garmin-Barracuda) finished second on the stage to secure the best young rider classification and second overall. Wiggins’ Sky team-mate Richie Porte placed third on the stage. Rui Costa (Movistar) completed the overall podium in third after finishing fourth on the final day in Switzerland. Sanchez tumbled to finish 10th overall, 1-15 adrift of Wiggins. Sky rounded out the top five with Porte in fourth and Michael Rogers in fifth, a very strong showing for the British-based team that will set alarm bells ringing for their Tour de France rivals. Sky rode strongly all week in a tough race, barely putting a tactical foot wrong. 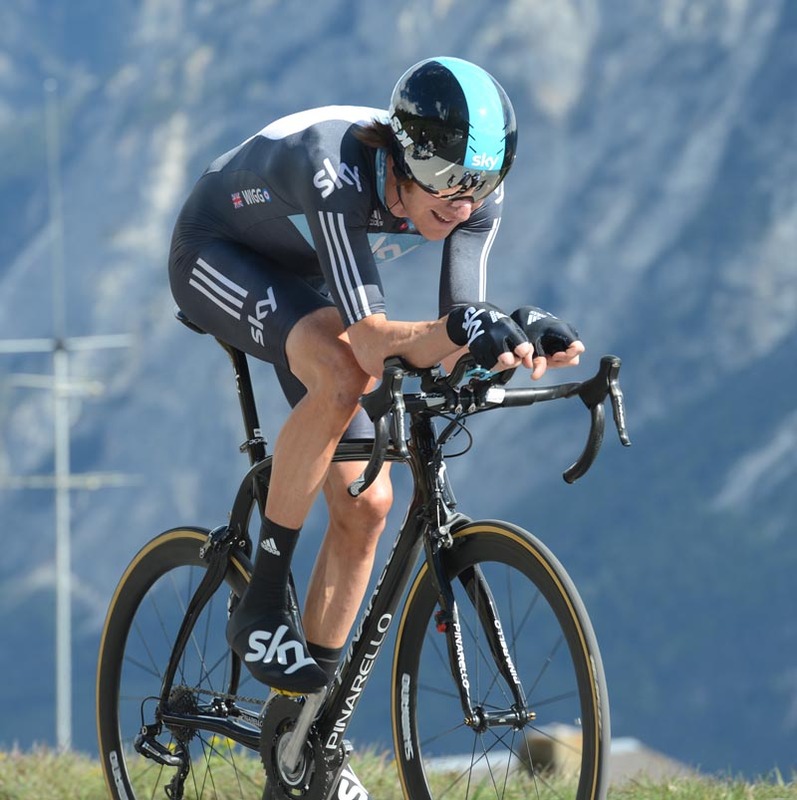 It’s the first time a British rider has won the Tour de Romandie since its first edition in 1947. It’s also Wiggins’ third major stage race win in the past 12 months after taking the Criterium du Dauphine (in 2011) and Paris-Nice (in March). Despite setting the fastest time on the day, it didn’t all go the British rider’s way. Wiggins lost several valuable seconds when his chain unshipped as he shifted chainrings. The following Sky team car stopped swiftly, and he was back up and running quickly. Wiggins soon regained composure and his rhythm, posting the fastest time at the first intermediate checkpoint and continuing the momentum until the line. The effort showed at the finish – he had to be helped off his bike, and slumped to the floor. 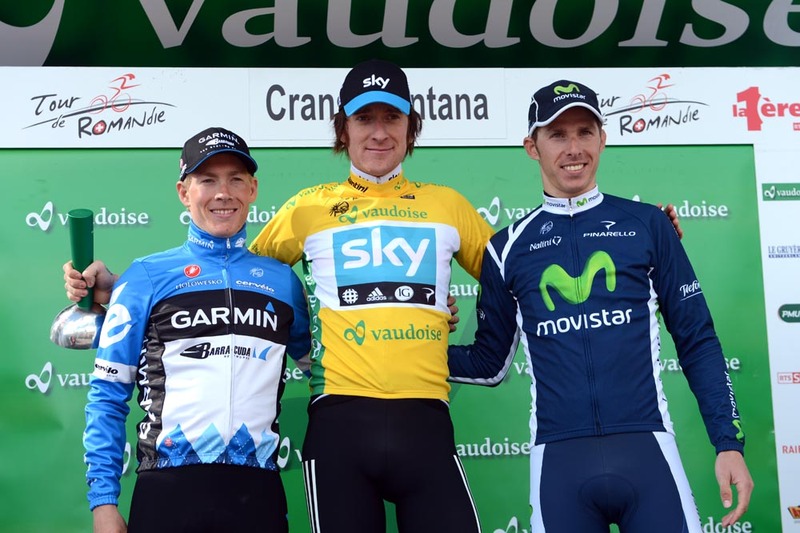 “It was a true test of a GC rider,” Wiggins said of the final stage. “It had a bit of everything in it plus a mechanical for myself. Porte had been the first rider to dip under the 30-minute barrier at the finish, clocking 29-13. That stood as fastest time until Talansky came through with 28-57, and then Wiggins with 28-56. With a wildly undulating course and blustery conditions, Wiggins elected to use a road bike with clip-on bars rather than a full-on time trial machine – as did the majority of the other top-seeded riders, including Rogers and Sanchez. 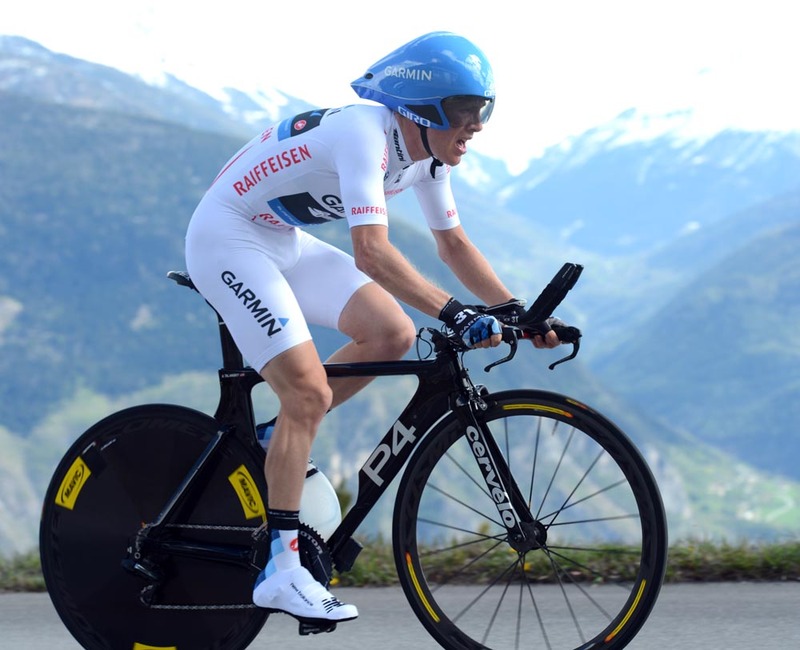 Talansky, though, opted for his time trial machine. Wiggins’ WorldTour points earned from Romandie, added to those collected from Paris-Nice, mean that he moves up to fifth in the UCI rankings. Tom Boonen (Omega Pharma-QuickStep) currently tops the table.